US buyers click here to go to Revolution Golf, a Golf Channel product. Add more power to your game and boost your driving distance by up to 25 yards by working on your swing for just minutes a day – it’s that easy! The Sure-Set trains you to simply ‘set’ the club into the correct loaded backswing position with great swing width, on the right plane, with superb alignments. 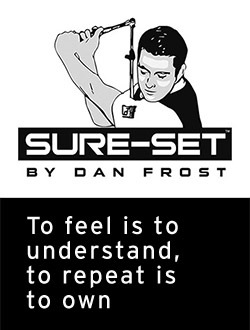 Sure-Set is a supremely effective golf training aid for anyone wanting to improve their game. Trusted by hundreds of tour professionals around the world, just a few repetitions a day can lead to lasting change. In just a few repetitions you’ll learn the vital blend of wrist hinge, forearm rotation and shoulder turn – the key ingredients of a powerful swing. 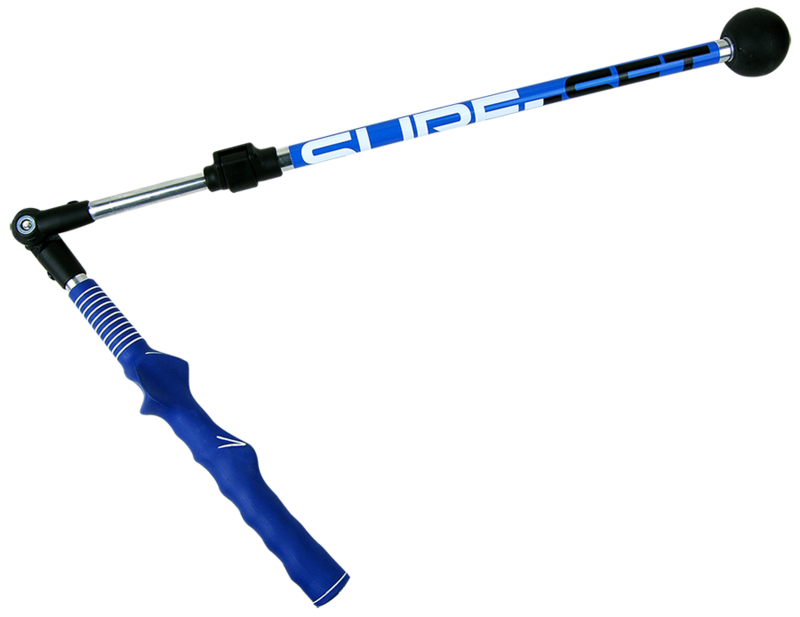 It will also dramatically improve the sequence of your downswing, allowing the stored power you’ve created to be maximised! 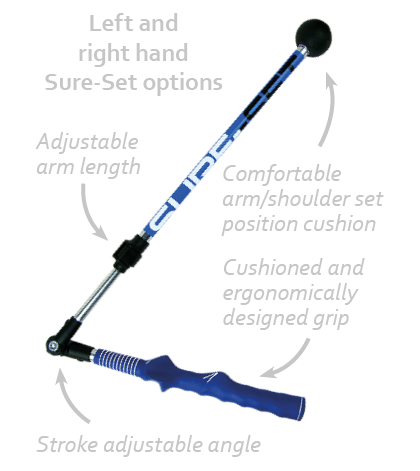 The Sure-Set is the training wheels for your golf swing. It will allow you to experience how your swing should feel and quickly install improvement. Through repetition you will create a lasting change, unlocking you true potential. A simple, effective, feel-based training solution for your swing!
" To feel is to understand. To repeat is to own "
to receive our news updates? Join our mailing list to receive the latest news, updates and special offers from Sure-Set.